Actualize Students in Rwanda Share Their Experiences | Actualize Three of my students taking the Actualize Bootcamp share their experiences and discuss the education differences between traditional education in Rwanda versus Actualize's educational model. Three of my students taking the Actualize Bootcamp share their experiences and discuss the education differences between traditional education in Rwanda versus Actualize's educational model. Actualize’s learning model is far different from the model used by the University of Rwanda. In university, we focused more on theory, by reading books and notes from instructors. Actualize’s prework phase had us dive deep into coding first with Ruby to prepare us for the bootcamp phase. When the bootcamp started, the instructor would often model an activity and students would spend a lot of time trying to accomplish a similar - but not exactly the same - goal. We didn’t just learn how to program various web-application scenarios, but learned more in-depth concepts, allowing us to build anything. Towards the end of the bootcamp, each student worked on a unique capstone project that helps a lot in increasing their critical thinking and helped solidify skills presented in class. With clear instructions, a talented instructor, a curriculum that helps students to increase critical thinking, lots of practice, and the prework phase from Actualize have inspired me to change my career from biology to programming! Now I am looking forward to transitioning into software engineering, thanks to Actualize. 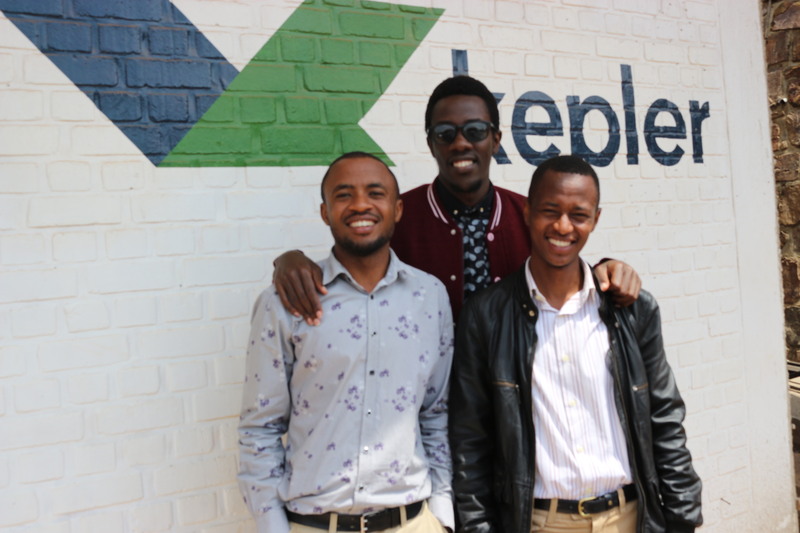 In order for someone to get programming skills in Rwanda, they have to have had studied computer science or math in high school. These are the kind of people who are most of the time qualified to take advanced computer programming skills and become developers, and even then they still have many challenges. Actualize is well structured in a way that is focused on both giving students the coding skills and relating it to the real world. In Rwanda students have to work very hard to understand the concepts and find jobs on their own. Most universities are concerned with offering skills in class, and the students have to do the rest. It is very encouraging to see Actualize focus on how the skills apply to the real world. Rwandans put a lot of emphasis on qualifications. Students worry more about getting a certification rather than the skills themselves. Taking the Actualize bootcamp took away this mentality including many of my classmates. We now understand the skills themselves (both soft and technical) are more important than just being certified. In the past three or five years, I never saw myself as a software engineer. Not necessarily due to a lack of interest, but because of the lack of opportunities. Based on my educational background in high school, the only technological aspect we learned was Microsoft Word. There were only a few schools which offered extensive technology courses which included web development, but even then it was only web design. The majority of people in Rwanda aren’t even aware or have access to learning true computer programming. There are few institutions that teach programming at a beginner’s level. Even the few people who get exposed to programming are easily discouraged due to its challenging nature and the type of learning that’s required. It’s so different than anything encountered in school here. The few people who may be interested in programming first have to learn the basic skills on their own, and institutions in Rwanda that train programmers already assume you know how to program.